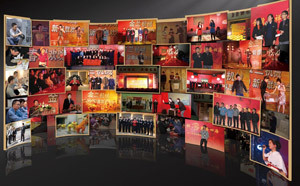 Based on the business philosophy of "Quality and Reputation first", Magnolia company has always been performing its enterprise commitment to the public in the way of "All workers participation, Customer first", and it gradually develops its internal enterprise culture, working hard to create its exclusive brands. Our is committed to create a "Modesty, Study, Diligent and Progress" atmosphere, so every worker can undertake his obligation, building a "cooperation and competition, balance between work and rest" staff team to reflect the business purpose of Company "keeping pace with the times and seeking common development". Magnolia's development scale is contingent on the team who are experienced in production, rich of control capacity and well trained in management. 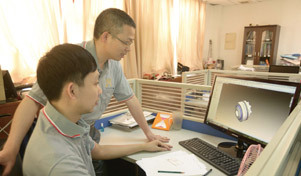 Now, Magnolia has the young and dynamic staff, especially the technology research and development team who has independent machine design and program development capabilities, their average age is under 35 years. The Company's staff is good at cooperation in, works, guidance for each other, continual improvement and making progress together. The Company encourages them to improve their competitiveness and further enhance the company's strength, which are the characteristics enterprise culture that Magnolia Company has always advocated. Concentration and serious when working, rel when recreation. For the purpose that employees can relax better after works, Magnolia always carefully holds annual meeting every year to bring employees joy and memories. In addition, the Company regularly organizes staff go traveling together, making employees enjoy the scenery along ways and feel family-like warmth. There is a old Chinese saying, if someone gives you a favor even a drop of water, we should give back him a fountain . 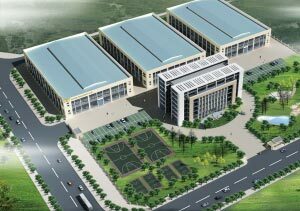 The large Magnolia corporation has grown to its present size , it's attributable to your attention, trusts and support. With a thankful sense, Magnolia doesn’t forget to give back society during developing. For years, the Company is keen on public welfares and regards giving back to society as its responsibility, it will continue to carry out its corporate responsibility to contribute its strength in promoting the development of whole society. Looking ahead, we will use the most detailed plan to make more progress. 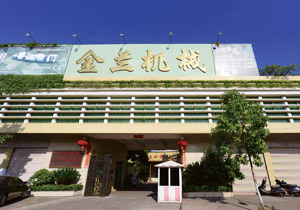 For 18 years, We pay high attention to every customer, the pursuit of the perfect service, aiming to make every customer to be our life long partner. Magnolia is like a eagle that has spread its wings and it will continue to soar in the future!